In today’s intolerant world where judgements are made based on one’s race, religion and beliefs, the crucial need of the hour is the promotion of love and revivement of our faith in mankind. Though this change in attitude cannot happen overnight, even simple acts of kindness can go a long way in attaining a world that believes in equality and charity. 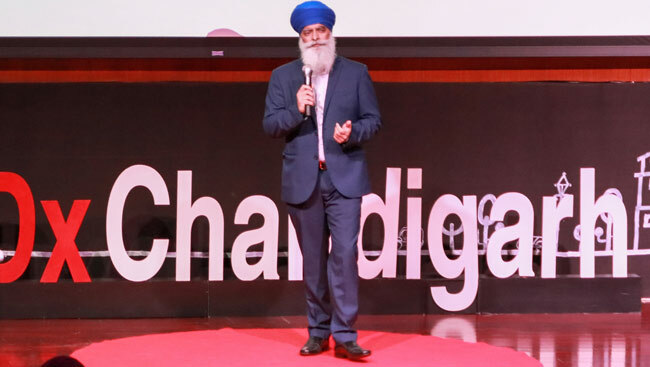 Ravi Singh, founder and CEO of Khalsa Aid, an international non-profit aid and relief organization, has taken it upon himself to achieve this world vision. Through Khalsa Aid, he has been reaching out to various corners of the earth helping those in need and in turn rekindling people’s trust in humanity. The idea of taking the concept of langar aka Sikh community kitchen to people or regions that needed it the most gave birth to Khalsa Aid organization in 1999 in London, United Kingdom. Singh recalls the moment vividly as it was the during that time that a vicious civil war was taking place in Kosovo, a disputed territory and partially recognized state in Southeast Europe. Thousands of Kosovo residents, who fled the war zone to take refuge in neighbouring states, were homeless and without basic necessities such as food and water. “In April 1999 so many refugees in the border were fighting for a piece of bread. 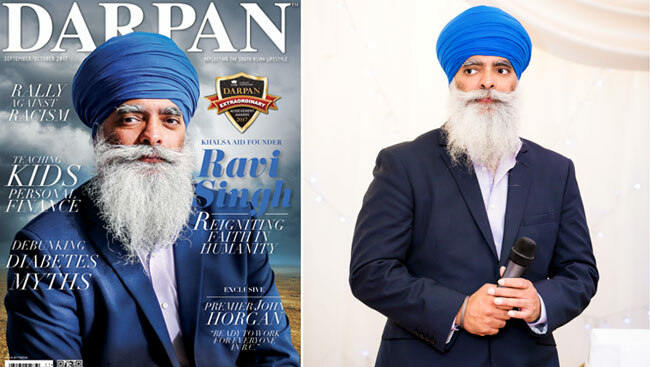 That year Sikhs were celebrating 200 years of the Khalsa as an identity,” adds Singh who began questioning himself and the community on the concept of langar and its purpose. The fact that there wasn’t any method of taking langar to where it is needed most disturbed him immensely. “Each gurudwara has four doors which means anybody from four corners of the world can eat in the gurudwara. So why haven’t we gone out into the four corners to those who can’t reach us?” he wondered. This triggered in Singh the need to take the real meaning of langar to where it is required – to reach out to those who had no access to it. This materialized with the formation of Khalsa Aid. Today, Khalsa Aid is globally known as an international NGO with the aim to provide humanitarian aid in disaster areas and civil conflict zones around the world. The organization is based upon the Sikh principle to ‘Recognise the whole human race as one’. Sharing the origin of the name, Singh says that it was chosen because the word ‘Khalsa’ is driven by humanity. “That we don’t hate or judge any faith; we respect and get along with everyone.” Starting with the first mission in Kosovo, Khalsa Aid has worked in war-hit zones like Syria and Yemen; helped multiple countries struck with disaster like the Nepal earthquake, famine in Kenya, and Indonesia Tsunami; and aided refugee camps in Greece, Lebanon and Congo, among many others. “We have attended almost every disaster. We don’t do just bits and pieces. [With] each operation we are spending more, learning more, and utilizing local groups,” says Singh proudly. In India, Khalsa Aid has played a prominent role in providing relief to various areas hit by natural calamities like the Vishakhapatnam cyclone, floods in Jammu and Kashmir, and Gujarat earthquake, among others. “Over the last three to four years, we have developed a fantastic team in India,” says Singh. 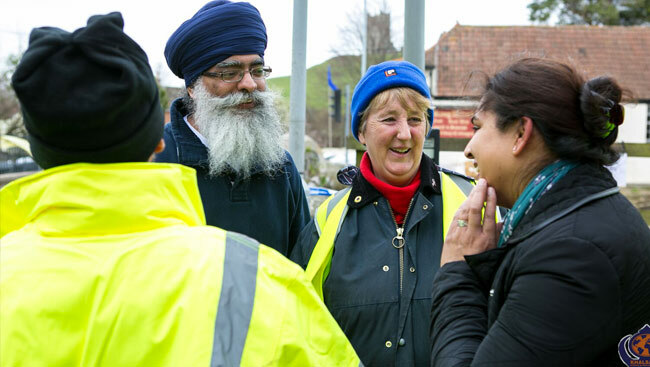 Funding comes mainly from the Sikh community; Khalsa Aid does not receive any government funding. “About 98 percent is funded by the Sikh community from around the world. If it is a major disaster, then the gurudwaras step forward as well,” says Singh, adding that the organization has had a lot of non-Sikh supporters from UK in the past couple of years. Khalsa Aid does not work with larger organizations for two main reasons – one, to keep away from corruption, and two, to avoid disrupting the economy of the country they are helping. Corruption apparently is existent even when one is selflessly helping those in need. “I have seen in the last 18 years how corruption works in these countries. We work with a Rotary Club, a Lion’s Club, mosque, church, or temple because you get a lot of volunteers at grassroots levels who have the passion of serving the people but don’t have funding. So we provide the funding, they provide the knowledge on the crisis, and we work together,” explains Singh. Rohingya Refugees Relief Refugees continue to arrive into Bangladesh from Myanmar. Our volunteers are on the border areas to assist some of the most vulnerable. We are setting up a short to medium term relief project in the area. To DONATE towards this project please click on the following link: https://www.justgiving.com/campaigns/charity/khalsaaid/refugees Thank you for your support. Singh believes that mistaken identity, especially due to the turban, even today is playing a very negative role towards the Sikh community. He specifically mentions his experiences at airport security when travelling to various countries. “If I am going to Iraq, I am more fearful and nervous being at the airport than in Iraq. When we work aboard we are okay but when we are going through the airports, we feel that we are targeted,” expresses Singh, calling it the worst part of the job. For Singh and his team, every mission is a learning experience to become better. Even though he has been to some of the most dangerous and life-threatening regions, the response he has received from people in return has been worth the risk. “The most positive thing is that it changes you for the better. You can’t get more fulfilment in life than in helping others. When you or anybody becomes a symbol of hope for people, then you have achieved your goal because materialism can’t get you the love and respect from other people. So much warmth that you get from people you are helping, you can’t get that anywhere. You can’t buy it,” says the good Samaritan. Positive episodes such as these have encouraged Singh and his team to keep going and be advocates for humanity. “You change lives by reaching out. People like me, we have seen a lot of destruction, and you never lose hope in humanity. You always help people and never give up. We never stop believing in humanity because then you spread more love in the world. It makes you driven to do more,” he emphasizes. I ask him how he gets the courage to visit these dangerous areas and selflessly help the people in need, and Singh confidently answers that the motivating factor is his faith and identity. “Courage comes from my faith and my faith drives me to work without implementing or putting conditions on me. 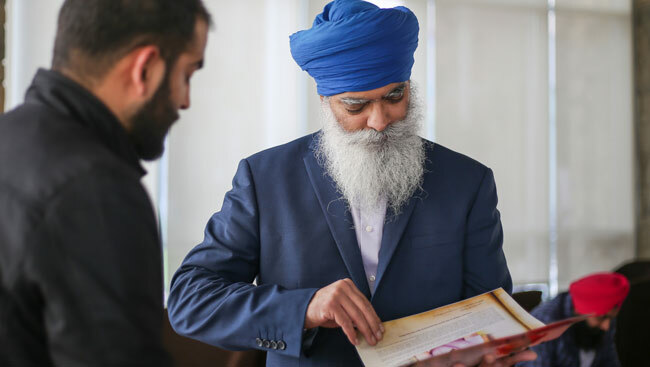 We are told that we are here not for ourselves but for our humanity,” asserts Singh who is deeply moved by the values his Sikh faith has taught him. “The message we have from the gurus is Sarbat Da Bhala – well-being of all. Sikhs are always praying for the well-being of the whole world, not just Sikhs. Also Vand Ke Chakna – which means share what you have. This is what we are, we are here to help and the major contribution is your faith.” Furthermore, his vision for the world has given him the courage to keep going. “When you have a vision, you automatically create your own courage because no matter what happens you have blinkers on and you are focussed on one thing. You are establishing that vision and you don’t care what happens to you,” affirms Singh. At present, Khalsa Aid is carrying out multiple projects simultaneously around the world. The operation in Turkey for the Syrian refugees is ongoing since last year. The nine operations in Haiti during the earthquake in 2010 are still on. 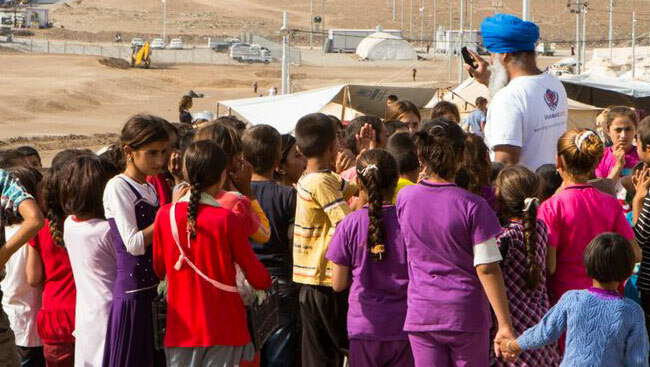 Khalsa Aid is helping with educational needs for refugee children in Lebanon. The organization has provided water pumps and water sanitization programs in Malawi and is installing water pumps in rural Malawi which is one of the poorest countries in the world. “Our biggest projects are in Punjab. We are looking after 250 families who are in deep poverty; we support them every month with welfare pensions. We are running two free schools for the underprivileged in Punjab; we have got four free tuition centres in different parts of Punjab for those students who are bright but can’t afford education. We have a medical program in Punjab where we are funding emergency medical care/ operations for those who are in poverty,” says Singh. Word is spreading fast on Singh’s courageous acts and the many initiatives of Khalsa Aid. “Life has changed because it is a complete turn around from normal life. It is 24/7; we have people calling from all around the world day and night,” says Singh who jokes that his beard has turned completely white with the change. 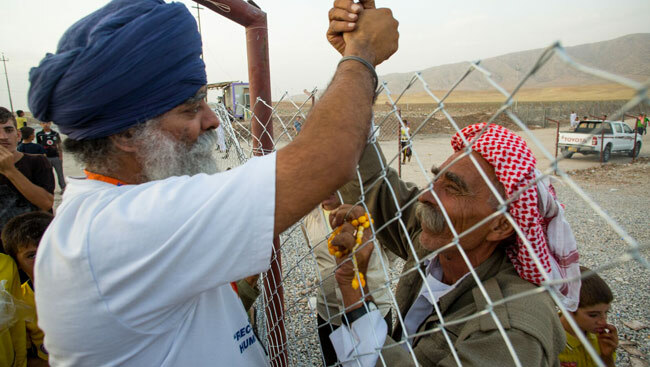 In 2016, BBC made a documentary around Singh’s work in Northern Iraq titled The Selfless Sikh: Faith on the Frontlines. The film follows Singh’s journey as he provides aid to Yazidi families who have fled their homes to escape the brutality of Islamic State. “The work continues and has been going on since 2014 when I first went to Iraq. It is something that was a challenge in the beginning because we were working at about 20-30 kilometres from a live battle going on in Mosul – headquarters of ISIS in Iraq. The risks and attacks we heard were real. It is one of the most important projects we are doing at the moment,” says Singh about his relief work in Iraq. Khalsa Aid will be setting up a registered organization in Canada and America soon. “We have more than 400 volunteers from all over the country. Khalsa Aid has reached many hearts of non-Sikhs. Our growth continues but there is much more we can do. Our growth won’t be just based on monetary funds but will come from many more projects we do in the coming years,” says Singh humbly. With his easy demeanour, cheerful commentary, and simple instructions, Chef extraordinaire Sanjeev Kapoor can make anyone fall in love with food and the art of cooking. Diwali is a festival of lights, of positivity and of family bonding – and actress Vidya Balan agrees. “It is about brightness, about letting go of the darkness, of the fear within,” says the charming lady, who has captured hearts with her beautiful smile, electric personality, and brilliant acting skills.